I think it’s safe to say that most of us have been in a relationship when after awhile, we begin to feel suspicious of our partner’s behavior. From excusing themselves from the room when they receive a call, giving vague explanations on what they’re doing for the evening, or calling someone “just a friend” without naming or explaining who that friend is, partners send signals that something is up. Despite what closure and clarity a mere conversation could bring, it’s not rare for emotions to get the better of us as we sneakily devise ways we can unveil what we think is being hidden from us. In The Tail Job, Nicholas (Blair Dwyer) is going through exactly that. He hires a taxi driver, Trevor (Craig Anderson), to follow his fiancé on a night that she’s claimed she’s hanging out with some un-named friend. 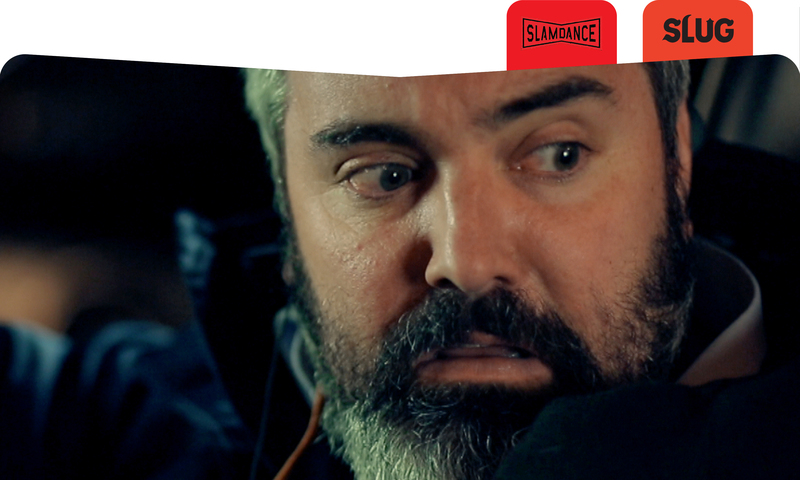 In this micro-budget comedy, we follow the two on their journey through every wrong turn. After the driver loses the trail of Nicholas’ fiance, the two go to great lengths to get back on the right path. Ultimately, Nicholas runs himself into more trouble than what he suspected on the part of his partner, as he breaks down emotionally, follows leads that aren’t fully formed through, and loses his sense of logic. Eventually, they accidentally become involved with a gangster they confuse for the man they think his fiance is with, and things start to spiral into chaos. From the beginning of the film, the taxi driver won my heart by speaking highly of Bill Murray in an attempt to start a conversation with the jealous Nicholas. Throughout the film, despite being a comedic relief and taking on the role of a jester, Trevor has surprisingly sound insights throughout the film, and stole the spotlight for the best performance in the film. Trevor has wit and stories that provide a relief from the tensions of Nicholas’ torn heart, and he comes across as a sincere, hard-working, and loyal man. Despite Anderson’s performance, however, the movie never made me laugh out loud. I’m not sure if The Tail Job wasn’t really that funny to me because I’m American and the directors hail from Australia, but for the sake of this review, I’ll pretend that the cultural gap isn’t an issue. While the talent of the directors and film crew is undeniable, and their limits with a low budget made them push through a challenging directorial feat, it was disappointing to see the script play on some blatant and borderline racism and sexism for a key part in the humor and punchlines. Although the premise of the film is arguably relatable to a large audience, the delivery was over-exaggerated way that came off corny. The style of humor might appeal to younger tweens, but as most people that age aren’t getting engaged, that probably wouldn’t work either. What’s more, the message you hope Nicholas learns from this experience is never resolved or even legitimately addressed. As a viewer, investing time in a movie brings the hope that you’ll be able to take something meaningful from the experience of watching it, but throughout this film and after, I’m only finding myself rolling my eyes.